As VOX 3 Collective prepares for its production of Carl Nielsen’s 1906 opera Maskarade, we examine the tradition of the masquerade. Masquerades were initially associated with Carnival, the period of time just before Lent that has historically been a time of ritualized social topsy-turvydom. Laymen would dress as religious officials and mock the Church — the institution that at all other times of the year had unimpeachable power over the people. Roles were reversed and a general laxity regarding commonly accepted values and social structures was the norm. When the Renaissance swept across Europe and society became in many ways more formalized, the masquerade ball became an increasingly popular fixture. They were most famously associated with Venice and the Venetian Carnival, eventually attaining an immense popularity throughout the Continent that lasted for decades. The masquerade ball, as opposed to the initial masquerade, was not restricted to Carnival time, thus allowing the populace greater freedom to go ‘outside the norm’ of their daily lives. Masquerade balls provided the social freedom and equality that the newly emerging individualist of the Renaissance wished for through the virtue of its participants being, at least in theory, anonymous. Through the relaxing of social rules that takes place when entertainment is involved, along with the ability to cast off all of what life has attached to you regarding social status, wealth, and connections, these dances provided an almost unique opportunity for those living through the Renaissance and Enlightenment to briefly cast off what life had given them and become, in a sense, Rousseau’s “natural man.” Masquerade balls, through their social leveling, can be seen as a furtive step towards the revolutionary ideals that would characterize the late 18th and early to mid-19th centuries. Several countries, including the all-important-for-our-story Denmark, banned masquerades due to the danger they seemed to pose to society. Venice, which led the world in masquerade, found that criminal activity went up dramatically when its citizens were allowed to hide their identities, and banned the wearing of masks outside Carnival and at formal banquets. 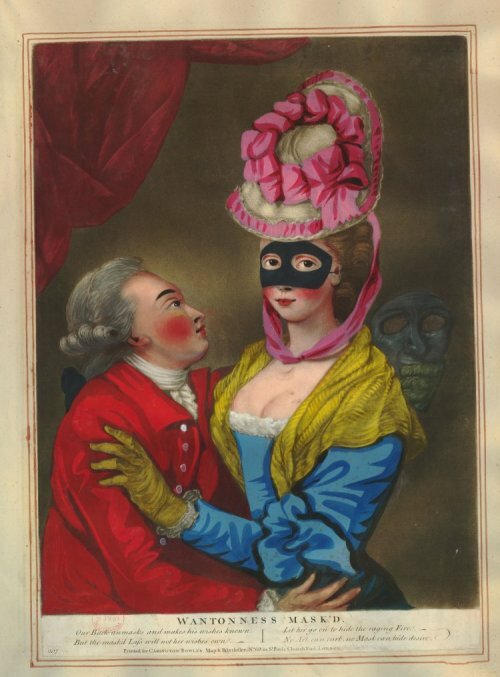 Ludvig Holberg, Mascarade’s original author, wrote the play in part as a response to Denmark’s ban on masquerade balls, which they stated only encouraged vice and degenerate behavior. Denmark had just come out of the Great Northern War, a 21-year conflict with Sweden, and was mostly likely looking to stabilize itself. Banning masquerade balls was a gesture towards that, but one not appreciated by Holberg. Fortunately the playwright had the favor of the king, Frederick IV, and therefore a certain amount of license in his subject matter. 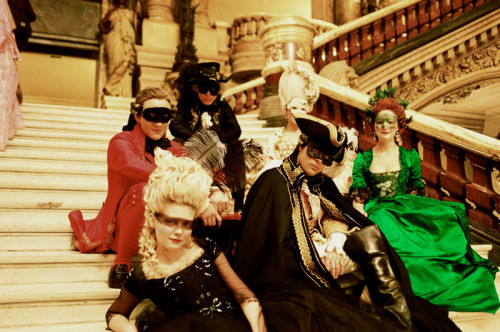 The masquerade ball provided a much needed respite from social rules and order and gave people a chance to relax their inhibitions, break off from their set place in the rigid class system of the time, and briefly live a different sort of life —one that would foreshadow the 18th century’s “all men are created equal” ideology. One could say the masquerade ball was an organic and understated outgrowth of those rising sentiments. Holberg’s original Danish play Mascarade, upon which Nielsen’s opera was based, places the original squarely in the height of popularity for masquerades. What can look like a lighthearted romp should also be seen in the context of burgeoning social upheaval. It is about two people who fall in love at a dance, but the experience becomes all the richer when one realizes how that was able to take place. The spirit of revolution underscores this fun and delightful opera. from → Cultural Background, Historical Background, Not All About Music!